Ashley's Island House has a special place in Put-in-Bay history. 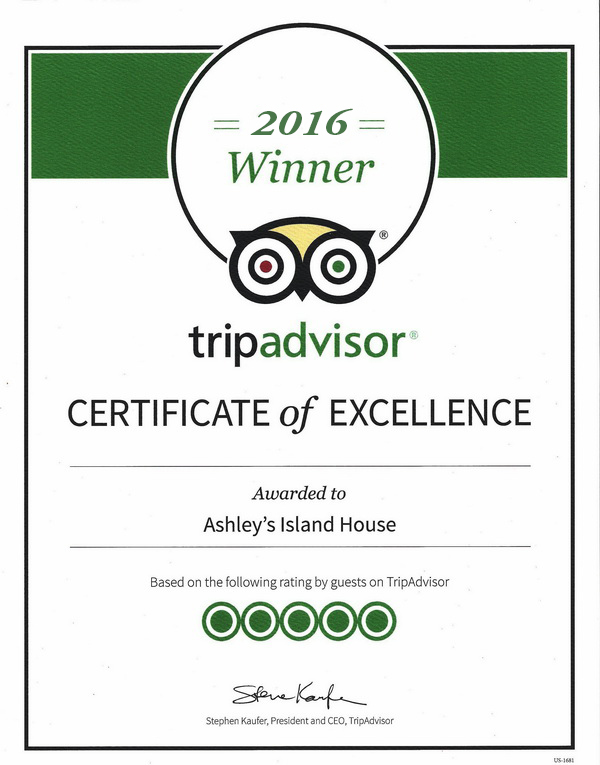 Ashley's Island House strives to provide you with a wonderful Put-in-Bay vacation. Whether you are traveling to us for a family reunion retreat or a romantic weekend getaway, we hope you will plan to stay in our Ohio country inn lodging. This unique Lake Erie island is a wonderful spot to enjoy exploring history, shopping in delightful specialty shops and outdoor activities such as fishing, boating, hiking and biking. In order to ensure that everyone's experience at our Put-in-Bay, OH bed and breakfast inn goes smoothly, there are a few rules and policies needed. Please take a few moments to look these over and feel free to contact us for more information. There is a $15 service charge on all cancellations. Remaining difference will be refunded if cancellation notice is received two weeks prior to arrival date. If cancellation occurs after the two week period, we will return your deposit less the service charge, only if we are able to rent your room for the entire period. You can use your deposit for future dates along as it is within 2 weeks. If you have to cancel and you want to stay another date in the future we will waive the cancellation fee as long as it is within a week. Our check-in time is 3pm. If your arrive early you can store your bags till the room is ready. Just rent a golf cart and enjoy the island. Check-out time is 11:00 AM. Please feel free to arrive early or stay late. We have an area to store your luggage and a powder room for your convenience. Due to the age of our Inn and for safety reasons, we are non-smoking but a smoking area is provided on our front porch and out back on the picnic table. . Couples and adult guests are preferred. No children on weekends.